ZZR, LLC provides the most thorough and up-to-date training available for workers involved in the mining industry, from the simplest safety meeting to the most technical comprehensive training. 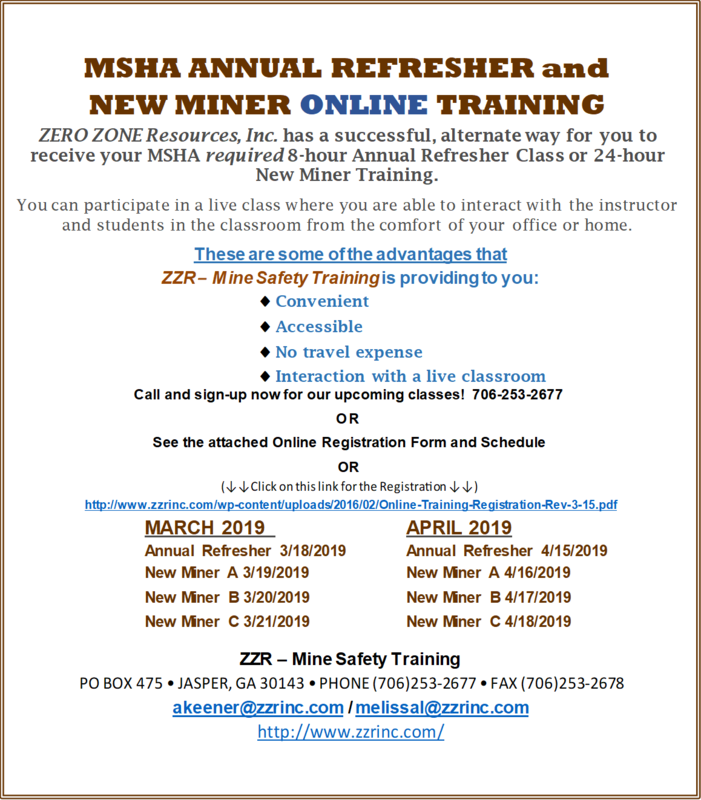 Our classroom training and customized on-site field training classes meet and exceed MSHA requirements and are taught by a team of experienced Certified Mine Safety Professionals. The instructional materials, from concept to delivery, are produced in-house and are available in printed form as well as VHS, CD, DVD and Computer Based Training Programs. Our team has taught over 10,000 people from all over the United States, as well as Singapore, Malaysia, Thailand, Taiwan, New Zealand, Australia and Japan. We look forward to working with you in achieving your safety training goals! ZZR offers several training programs that you would need to complete your training classes. The training programs are self contained including videos (or DVDs), class outlines, instructor training guide, quizzes and training certificates. Copyright © 2001-2019 ZZR, LLC All Rights Reserved.